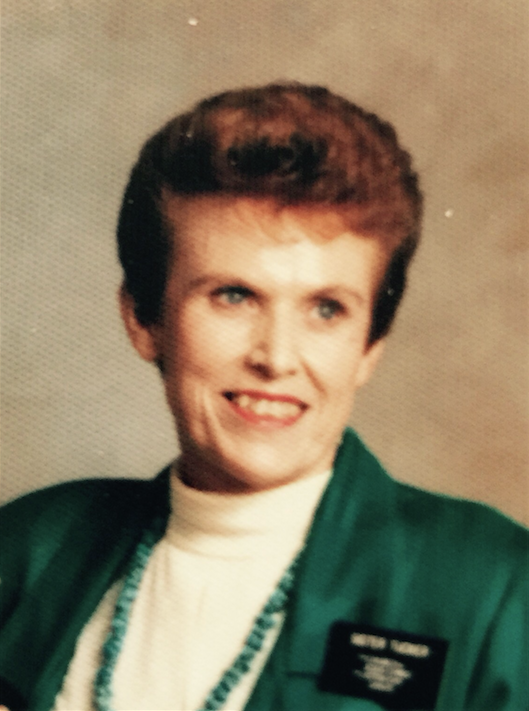 JoAnne Black Tucker passed away peacefully May 4, 2015 in Mesa, Arizona. She was born April 4th, 1932 in Prescott, Arizona to Genevieve Lewis Black and Edwin Allan Black. She married Clyde L. Tucker in the Mesa Arizona LDS Temple March 30, 1956. They briefly lived in Tucson, Arizona and Southern California then moved to Las Vegas, Nevada in 1964 where they resided until 1994 when they moved to Kanab, Utah. They just recently moved to Queen Creek, Arizona in January 2015. She was very active in the LDS Church where she had several callings including Ward Organist. Clyde and JoAnne felt blessed to have been able to serve two missions to the Louisiana Baton Rouge Mission and Utah Cove Fort Mission. She loved spending time with her family and serving others. In spite of several health challenges she never complained, and always had a smile on her face. She is survived by her husband Clyde, children Rodney Tucker (Jill), Joni Lang (Frank), Matthew Tucker (Robin), 14 grandchildren and 9 great grandchildren with one more on the way. She was preceded in death by her parents, and her younger brother Richie Black. She will be greatly missed by those who knew and loved her. A visitation will be held on Thursday, May 7, 2015 from 6-8 PM at Bunker’s University Chapel, 3529 E. University Dr., Mesa, AZ. Funeral services will be Friday, May 8, 2015 at 10 AM, preceded by a visitation at 9 AM, at The Church of Jesus Christ of Latter-day Saints, Voyager Ward Chapel, 1005 N. Voyager Dr., Gilbert, AZ. Arrangements by Bunker’s Garden Chapel. We just wanted to let you know that we are thinking of all of you today. We were trying to find a way to come to the funeral services but because of work and other constraints we were unable to make it work. Our thoughts and prayers go out to you today as we celebrate the life of Joanne. She was the perfect example of enduring to the end. I can’t ever remember her being down even though she had so many challenges in life. I have many fond memories of visiting and going on trips with your family when I was younger and I recall how kind and positive Joanne was and her ability to show a sense of humor through thick and thin. She was a wonderful example to everyone. Please let everyone there know of our love. Thank you so much for your kind words Steve and Dawn! I’m sorry I’m just now seeing this and just now responding, but she loved you and your family very much and thank you for always being so sweet to her!